As well being an accomplished actor and an art expert and lecturer, Vincent Price was also passionate about food. As his daughter Victoria says in her lectures on her dad, ‘He loved to eat’. Along with his second wife, Mary (Victoria’s mum), Vincent published the acclaimed gourmet tome, A Treasury of Great Recipes, in 1965, which brought together recipes collected from the kitchens of 35 American restaurants (including the Four Seasons, Galatoire’s and Locke-Ober) and eight European countries, plus several dozen of the Price’s own unpretentious favourites, including two for hot dogs. This glorious tome got a sumptuous reprint in 2015 by Dover Press. In 1969, the couple also released their Come Into the Kitchen Cook Book, which was devoted to the heritage of American cuisine, from the early pioneer settlers to the Victorian era. This was reprinted many times, with different covers, as well as in a five-volume series which was retitled A National Treasury of Cookery. In the six-part 1971 Thames TV series Cooking Price-Wise, Vincent invited viewers to ‘travel round the word using your cooker instead of a jet plane’, and shared his experiences of international cuisine, preparing such delicacies as Moroccan tajine, the American Ice Box Cake and Fish Fillets Noord Zee. 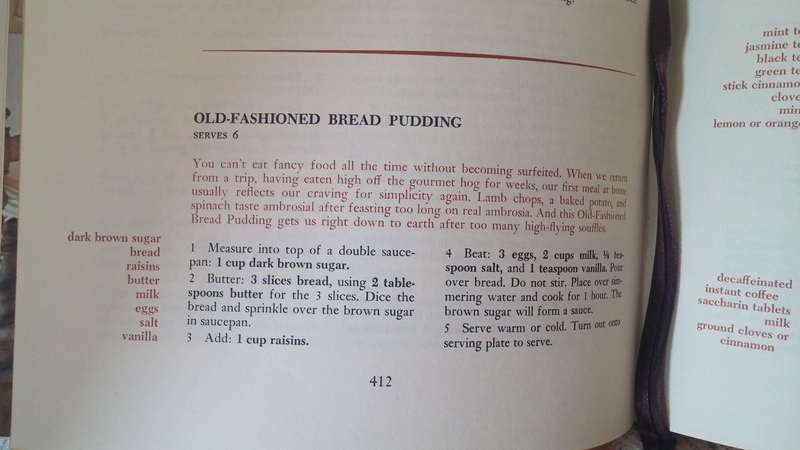 These recipes and a host more were published in a paperback that is much sought-after today. This page is dedicated to Vincent’s favourite recipes and is hosted by Jenny Hammerton, who runs the Silver Screen Suppers website. Just click on the recipe title, where you will be taken to the host page. All around the world, people love eating and drinking like Vincent Price, here’s a round up of links to other blog posts that celebrate Vincent’s favourite recipes. • An appreciation of Vincent’s food writing by Kimberly Lindbergs – In the Kitchen With Vincent Price http://moviemorlocks.com/2013/10/24/in-the-kitchen-with-vincent-price/ – includes the recipe for Souffle Pudding Pierre. So begins each episode of Vincent’s Price’s glorious television show, Cooking Price-Wise, which launched on this very day in 1971 on ITV at 11.15pm. Lucky television viewers in Britain were given friendly cooking advice from the Master of Menace himself, in six stupendous instalments. Before the cooking began in the very first episode, Vincent gave viewers a potted history of an obscure little vegetable that was discovered in Peru. He managed to riff about this magical food for a good few minutes without actually revealing its name. At the end of his history lesson he pronounced with great relish: ‘and this, ladies and gentleman, is it!’ Bringing into view a large, mucky example of this very famous ingredient, he pronounced its name in the way only Vincent Price could: ‘the po-ta-to.’ There then followed a demonstration on how to make three recipes using the humble spud. Manhattan Vichyssoise, Pommes de Terre Savoyarde and Fish Fillets Noord Zee. Vincent cooks in a kitchen set that is a dream come true for those who love 1970s cookware. He uses some beautiful enamel saucepans, white with an orange and yellow design. Scattered around the work surfaces are groovy orange and yellow storage canisters. He grinds salt and pepper from lovely red and yellow wooden grinders, so familiar to those of us who grew up in the 1970s. Inspired by Vincent I treated myself to some decorated enamel saucepans a couple of years ago, and I always think of his cooking show when I use them. Vincent was very keen on kitchen contraptions. On the first show he uses an electrical device that produces a ‘whole box’ of perfectly sliced potatoes. He then shows how to use a blender to take some of the work out of making Manhattan Vichyssoise. He jokes that you must remember to put the lid on the blender ‘otherwise you will have a brand new paint job in your kitchen’. He has a lovely, friendly, chatty style as he cooks. Well aware that not every home cook in the 1970s would have a blender, he advises that using a sieve would be just as good, but harder work. Vincent’s obvious confidence in the kitchen would have really encouraged the tentative cook to try out his recipes, I am sure. He really does make the food he is preparing sound easy to make, and delicious to eat. All of the recipes Vincent demonstrates in the cookery show are included in the book that accompanied the series. Cooking Price-Wise is now an extremely rare and highly collectable cookbook, which was originally priced at just 30p. If you have a spare £1,000 knocking around in your bank account, you could buy one of the only 2 copies available on Amazon. Currently priced at £999.11, you’ll have 89p to play with assuming they throw in free postage. I would never, ever sell my much-treasured copy of this book. It is very bashed about, as I use it often, and it contains my notes on the recipes I have made from its lovely selection. The first time I made Fish Fillets Noord Zee in 2011 for example, my verdict was simple. Scribbled in turquoise ink, it just says ‘Awesome!’. Fish Fillets Noord Zee is one of the recipes Vincent demonstrates in the first episode of Cooking Price-Wise. This is a really fun dish to make as it involves putting mashed potato into a piping bag in order to make a series of ‘dykes’ which represent the sea walls in Holland. It’s a pretty bonkers recipe, but is definitely a crowd pleaser if you have guests. Sometimes I feel that making an extravagant dish just for yourself is fun too, so I rustled this up just for myself the other day. I felt like the Queen of Holland having this all to myself. So my second attempt at this dish contained plaice prepared exactly as Vincent recommended, with his lovely creamy sauce, but instead of mushrooms, shrimps, scallops and herring roes, I used up whatever vegetables I had in the fridge. It was utterly delicious! Here’s the recipe to serve 4, but you can divide accordingly if making for less. Cook potatoes in salted water until very tender. Drain and mash. Beat in butter and enough hot cream to make fluffy potatoes that are still stiff enough to be pressed through a fluted pastry tube. Season to taste with salt and pepper. Keep warm over simmering water. Poach the plaice in a cup of water, the white wine and lemon juice, with the salt and white pepper added for 5 minutes. Remove the fillets and keep warm. Boil liquid over high heat until reduced to 1/4 pint / 142ml. Heat 1 tablespoon of butter in each of 4 small frying pans. In one sauté the mushrooms for 5 minutes. In another the shrimps for 5 minutes. In a third, toss the floured herring roes for 5 minutes. In the last, cook the scallops for 5 minutes. Fill a forcing bag, fitted with a large fluted tube, with the mashed potatoes and press out fluted ribbon down the centre of a large serving platter. On one side press out 3 ribbons from centre to edge of platter, making 4 evenly divided compartments. Arrange the fillets on the other side in the long compartment. Put platter into a warm oven to keep warm. In saucepan beat eggs with flour and cream. Strain the reduced fish liquid into the egg-cream mixture and cook, stirring rapidly until sauce is hot and slightly thickened. Be careful not to let it boil. Stir in 1/2-teaspoon salt, or to taste, and 1 tablespoon lemon juice. NB – when converting imperial measurements to metric, there is often a slightly odd result. 112g of each of the dyke fillings are a literal translation, but you can, of course, use more or less as you see fit. Also, for American readers, the Imperial pint is 20% more liquid than an American pint. Probably not crucial in this recipe but something to bear in mind when making the sauce. Vincent ends the first episode of his brilliant cookery show by shaking some salt over his Vichyssoise and tucking in. He signs off by saying: ‘I hope we meet again, good eating!’ and I say the same. Maybe I’ll do another post sometime, for the Vincent Price London Legacy UK blog. Vincent made Dolmades, Moroccan Tagine and Cafe Napoleon in episode 2, so perhaps I’ll try one of these. In the meantime, I do hope you give Fish Fillets Noord Zee a go. Good eating!